The Boeing International Headquarters was designed by Perkins and Will and was completed in 1990. It is 36 stories high and cost $170 million dollars to build. When construction began, the land was owned by a different company who leased it to the building owners. The building was originally built for Morton Salt Company, until Boeing moved its headquarters from Seattle to Chicago in 2001, after receiving over $60 million in tax incentives. The southwest corner is suspended by steel trusses to allow full clearance of commuter trains underneath. The 'Most Innovative' award goes to the Boeing building. 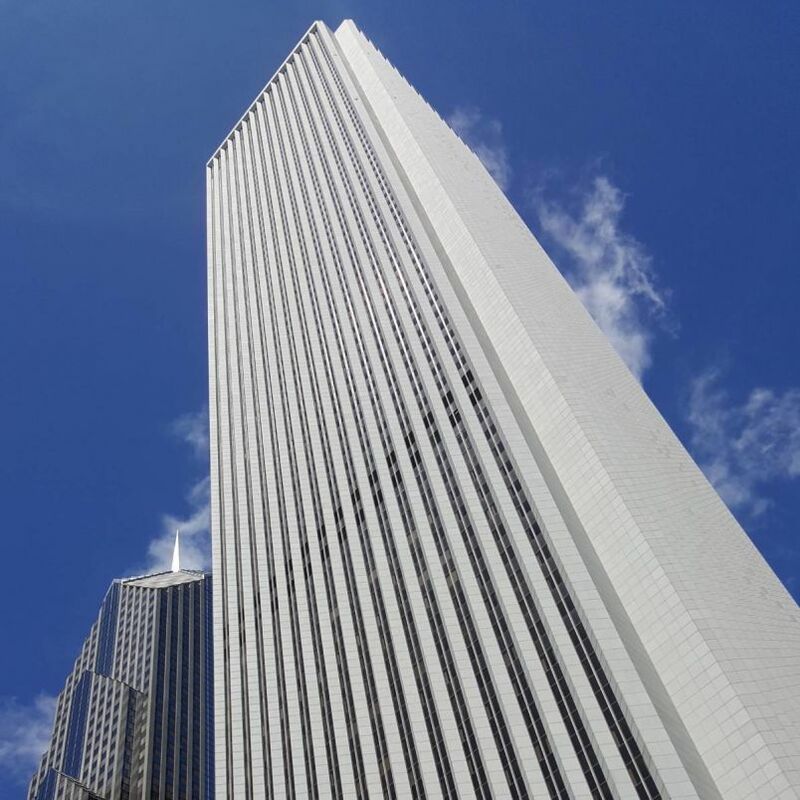 For this, the Boeing Building has been awarded the superlative title of "Most Innovative" by the Structural Engineers Association of Illinois.